India Post Answer Key 2018: MTS Final Answer Key 2018 is available now for Tamilnadu Postal Circle MTS Final Exam 2018. The exam was organized by Tamilnadu Postal Circle, India Post on 16 Sep 2018. Tamilnadu Postal Circle MTS Final Answer Key 2018: Tamilnadu Postal Circle, India Post has issued the Answer Key on 01 Nov 2018 for Tamilnadu Postal Circle MTS Final Exam 2018 which was conducted on 16 Sep 2018. Answer Key can be accessed from the link given below. AP Postal Circle Multi Tasking Staff Final Answer Key 2018: Andhra Pradesh Postal Circle, India Post has issued the Answer Key on 01 Nov 2018 for AP Postal Circle Multi Tasking Staff Final Exam 2018. Answer Key can be accessed from the link given below. Tamilnadu Postal Circle MTS Exam Answer Key 2018: Tamilnadu Postal Circle, India Post has issued the Answer Key on 27 Sep 2018 for the exam which was conducted on 16 Sep 2018. Answer Key can be accessed from the link given below. AP Postal Circle Postman / Mail Guard Answer Key 2018: Andhra Pradesh Postal Circle, India Post has issued the Answer Key on 17 Sep 2018 for Postman / Mail Guard Exam 2018 which was conducted on 28 Apr 2018. Answer Key can be accessed from the link given below. AP Postal Circle MTS Answer Key 2018: Andhra Pradesh Postal Circle, India Post has issued the Answer Key on 02 Jul 2018 for the exam. Answer Key can be accessed from the link given below. AP Postal Circle MTS LDC Exam Answer Key 2018: Andhra Pradesh Postal Circle, India Post has issued the Answer Key on 27 Jun 2018 for MTS LDC Exam 2018 which was conducted on 10 Jun 2018. Answer Key can be accessed from the link given below. AP Postal Circle AP PM/MG Exam Answer Key 2018: Andhra Pradesh Postal Circle, India Post has issued the Answer Key on 11 May 2018 for AP PM/MG Exam 2018 which was conducted from 28 Apr 2018 to 29 Apr 2018. Answer Key can be accessed from the link given below. AP Postal Circle Postman/ Mail Guard Final Answer Key 2018: AP Postal Circle has issued the Answer Key on 22 Mar 2018 for Postman & Mail Guard LDCE Exam 2018 which was conducted on 11 Mar 2018. Answer Key can be accessed from the link given below. AP Postal Circle Postman/ Mail Guard Answer Key 2018: AP Postal Circle has issued the Answer Key on 13 Mar 2018 for the exam. Answer Key can be accessed from the link given below. Rajasthan Postal Circle MTS Answer Key 2018: Rajasthan Postal Circle has issued the Answer Key on 09 Mar 2018 for the exam. Answer Key can be accessed from the link given below. 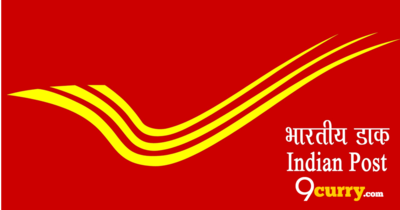 India Post Postman/Mail Guard Answer Key 2018: India Post has issued the Answer Key on 05 Feb 2018 for TS Postal Circle Postman/Mail Guard Limited Departmental Exam. Answer Key can be accessed from the link given below. MTS Answer Key 2017 | Department of Post – AP Circle: India Post Answer Key for the exam is available now which can be accessed from the link given below. GDS To MTS/APS Exam Answer Key 2017 (Maharashtra Post): India Post Answer Key for the exam is available now which can be accessed from the link given below. MTS DR Answer Key 2017: AP Post issued Answer Key on 30 Oct 2017 for 43 MTS Vacancies in Postal / RMS Divisions and Circle & Administrative Offices (AP-Post) - RE-II/ MTS/DR/AP/2015-16 Which Exam was held on 22 Oct 2017 is available now which can be accessed from the link given below. India Post Answer Key for the exam is available now which can be accessed from the link given below.